APHA bay overo gelding by multiple world champion producer, CR Good Machine, and out of Sensational Touch (World Champion producing daughter of Zippos Senation. APHA Breeders Trust Nominated. 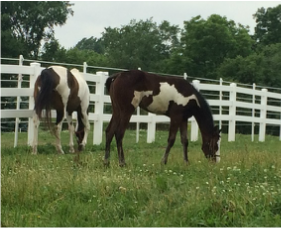 APHA sorrel overo filly by multiple world champion producer, CR Good Machine, and out of Investors Prototype (ROM earning mare by Major Investor, out of a Sonny Dee Bar mare). APHA Breeders Trust Nominated. AQHA/APHA filly by Only Krymsun (Tom Powers champion stallion by One Hot Krymsun) and out of a multiple world and national champion producing daughter of Invitation Only. APHA Breeders Trust nominated.